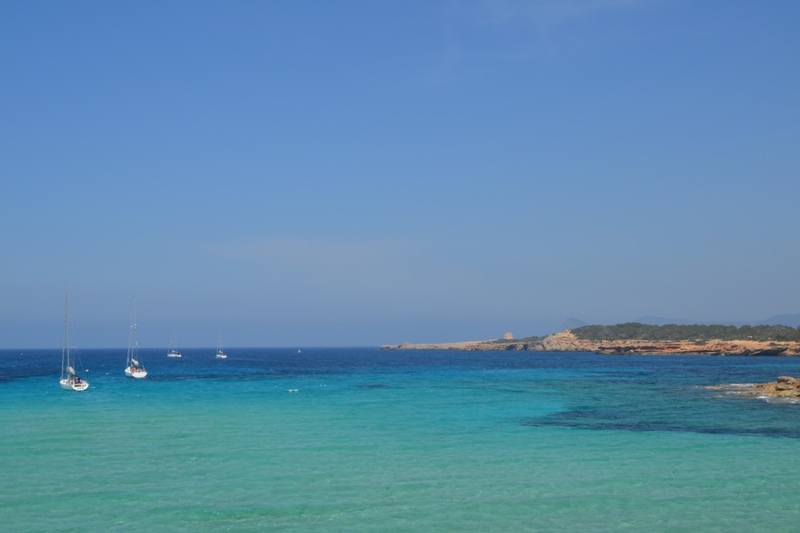 Beach life: You will be so impressed by the magical beaches and calas that are on this island and their transparent water. 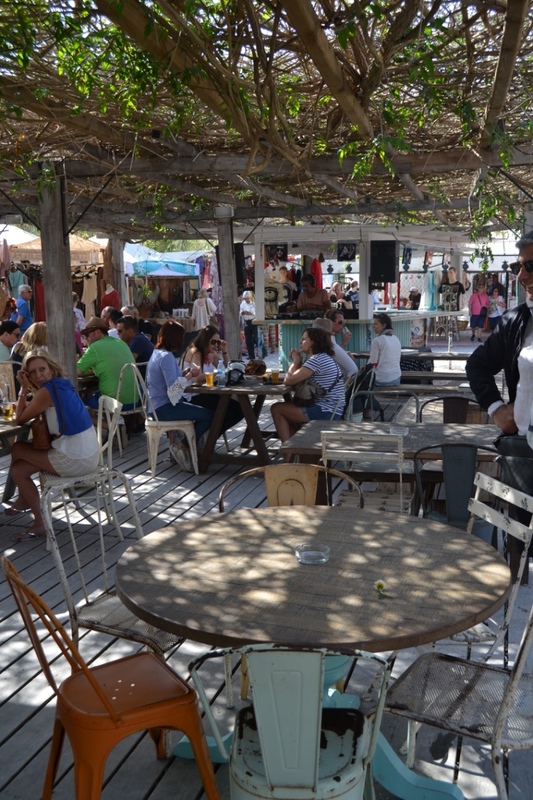 You can find some secret calas and feel you are at the end of the world, or enjoy a drink and dance in a chiringuito on the beach. 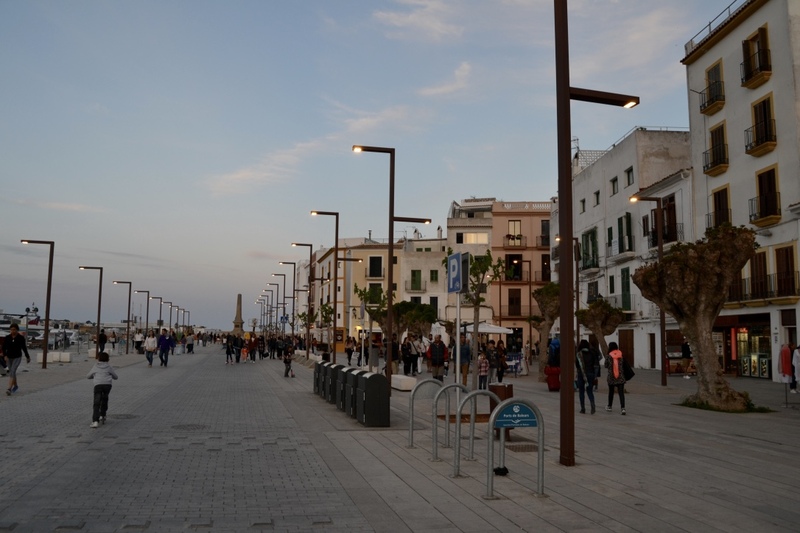 Oh and do not forget to watch a sunset on the beach which is a spectacle there that is applauded! 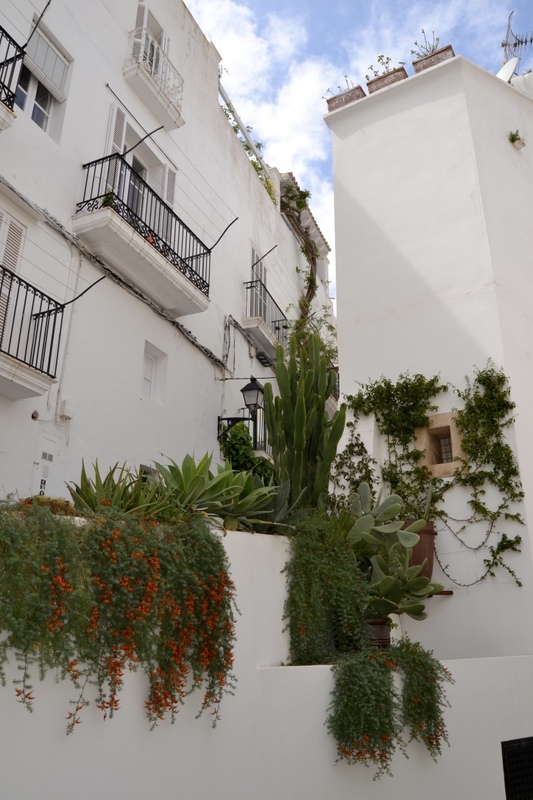 Dalt vila: get lost in the bucolic little streets of the old Ibiza! The panoramic view from the castle that is at the top of the hill is really breathtaking. 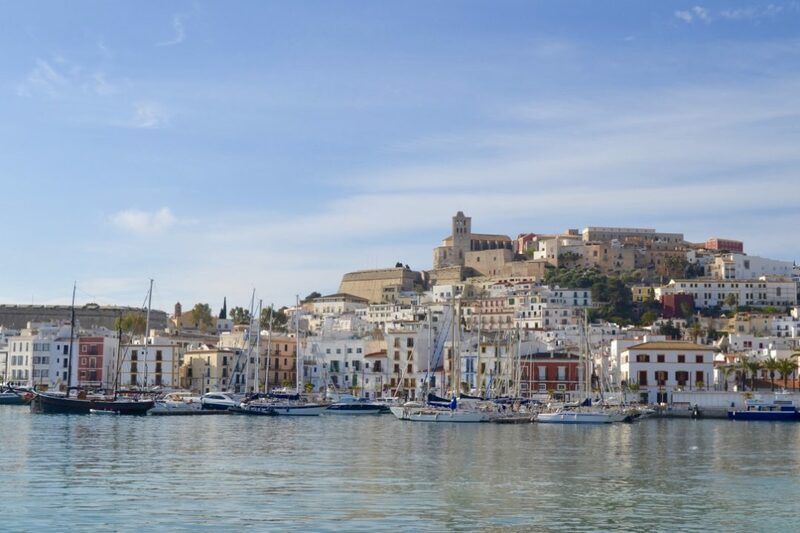 You will contemplate a canvas of white old roofs surrounding the port in Ibiza Town, which is a UNESCO World Heritage Site; mixed with the blue sea and the green wild cliffs full of pines as a background. 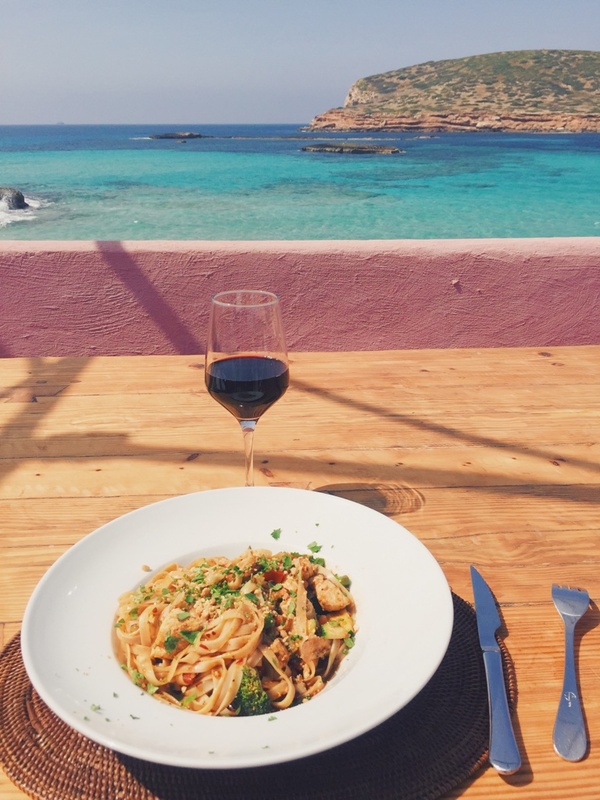 Formentera: this peaceful island is a treasure. 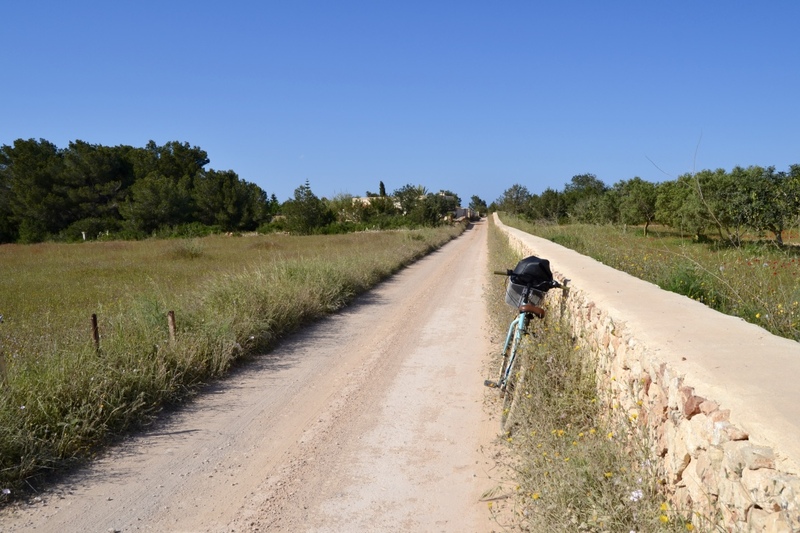 It has tropical beaches, salt works and beautiful landscapes that you will love to discover by scooter or bicycle if you are sporty! 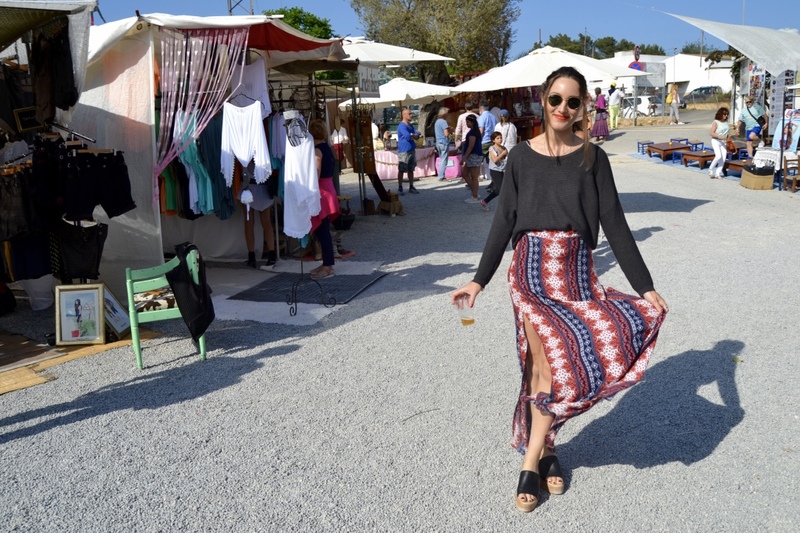 Hippie market: there is a community of hippies that still live in Ibiza and you can see their art at the Dalias market. This hippie market is really cool to have a walk, have a lunch or drink and shop some jewels, clothes, decoration and other stuff. 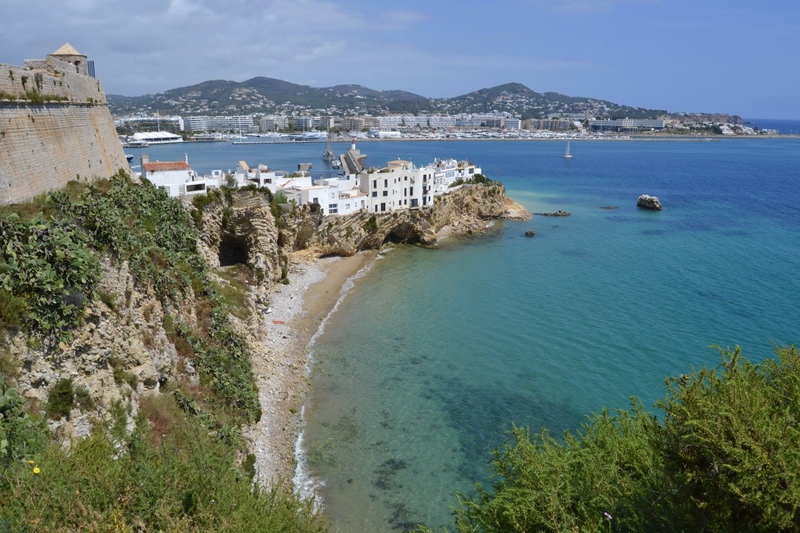 Night life: Ibiza is the most famous place in the world for its crazy nights and parties. In fact you can feel the parties vibes anytime, day and night. 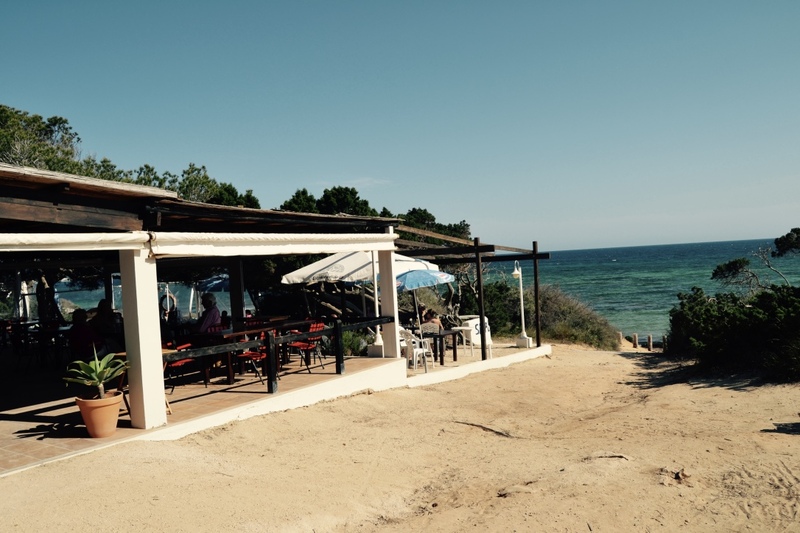 On the beach you have plenty of bars where you can listen to really good music and dance, also in the car you can keep on partying because the music at the radio is excellent, and even our hotel was putting some cool music all day and a part of the night by the swimming-pool! 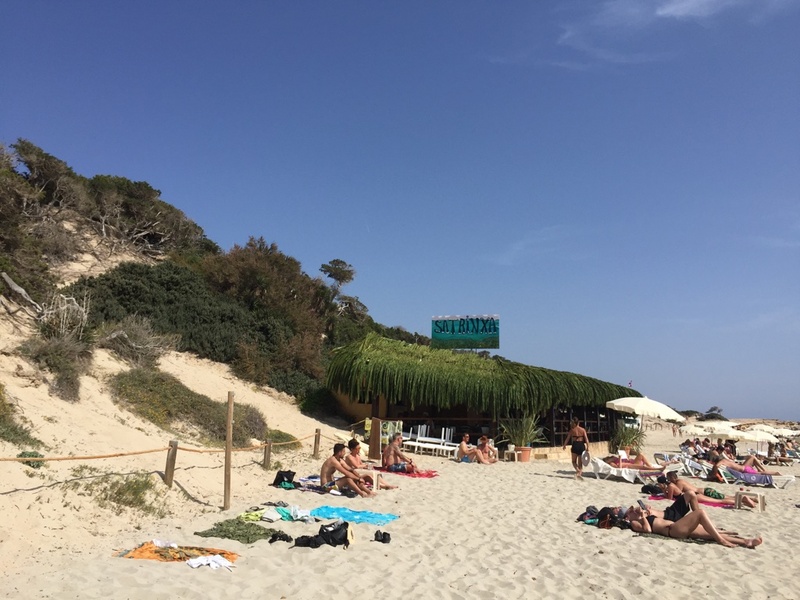 Las Salinas: to get there you have to cross by walk a pine forest and you will discover a wild beach surrounded by dunes. Ok I said wild but you will not escape the chiruguitos with DJ mixing chill out music. 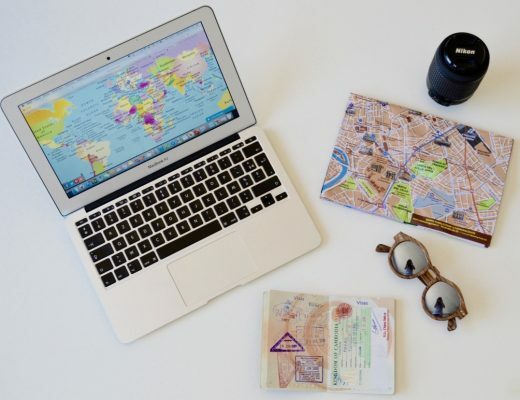 The party is everywhere! 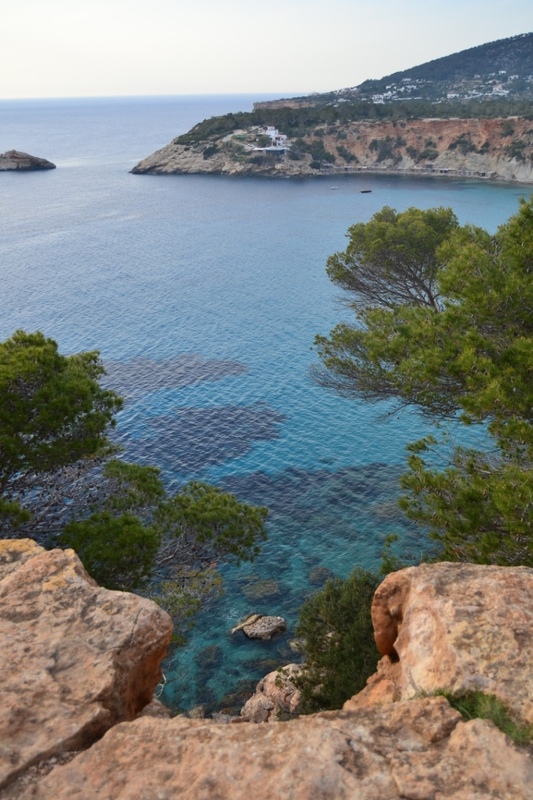 Cala d’hort: I advise you to park a bit before the cala and you will enjoy a fantastic view from the cliff overtaking the bay and see the fascinating island of Es Vedra. 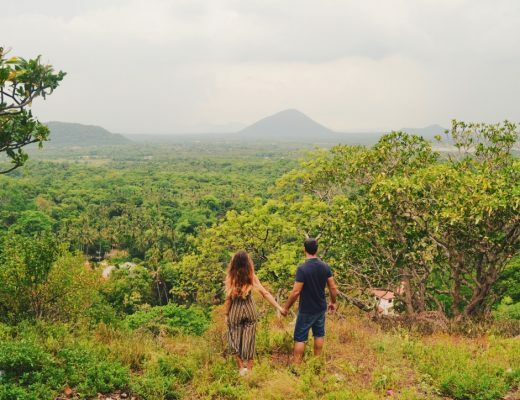 This pyramidal island is very special because it is considered as one of the most magnetic place in the world. What does it mean? 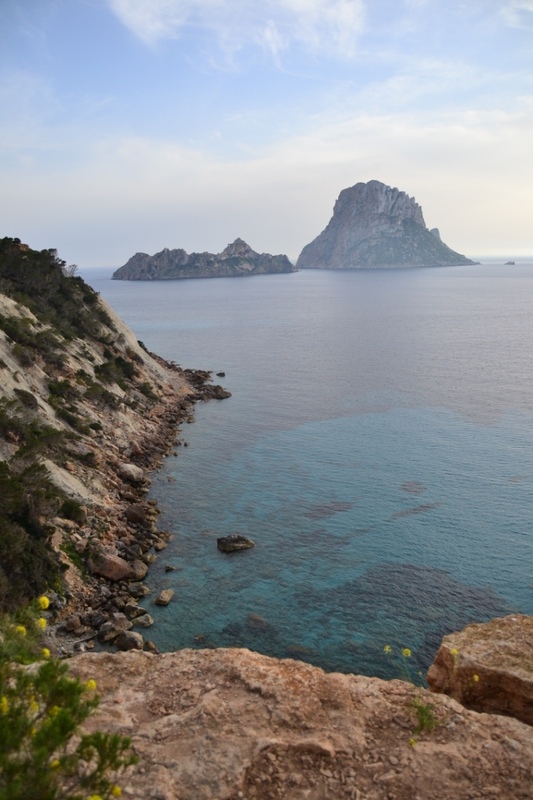 Well this pyramidal island is the source of inspiration of many myth, legends and paranormal stories. Some say that this magnetic rock would attract aliens, upset compass, cause disorientation and even make disappear object and persons! Ahhaha. More seriously I really loved to have a picnic there and feel I am at the end of the world. 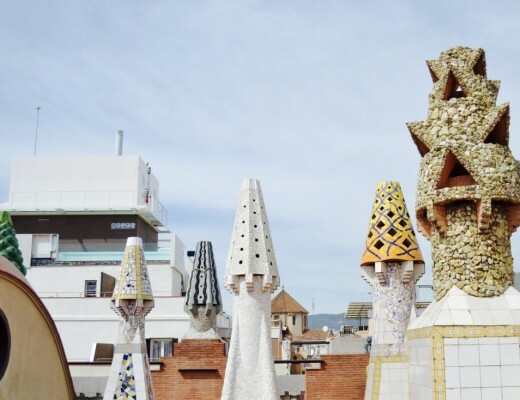 And by night it is an incredible place to watch the stars! 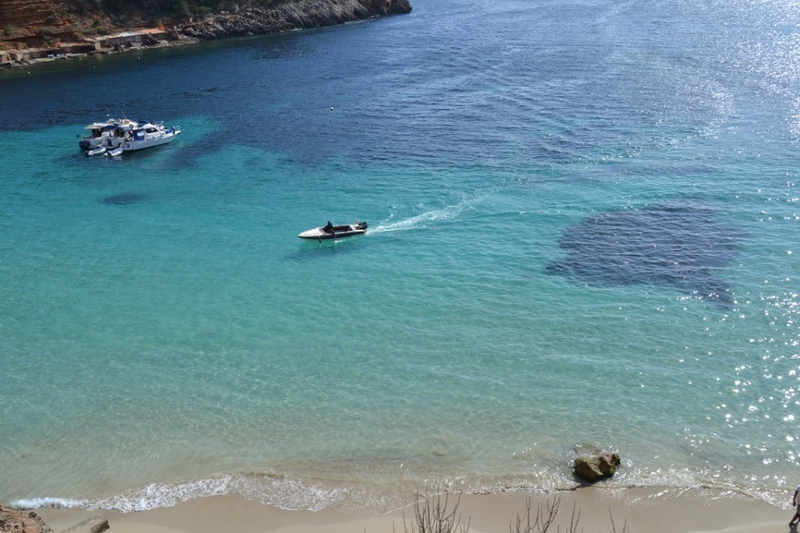 Cala comte: this cala is just incredible for its transparent water! A must see. 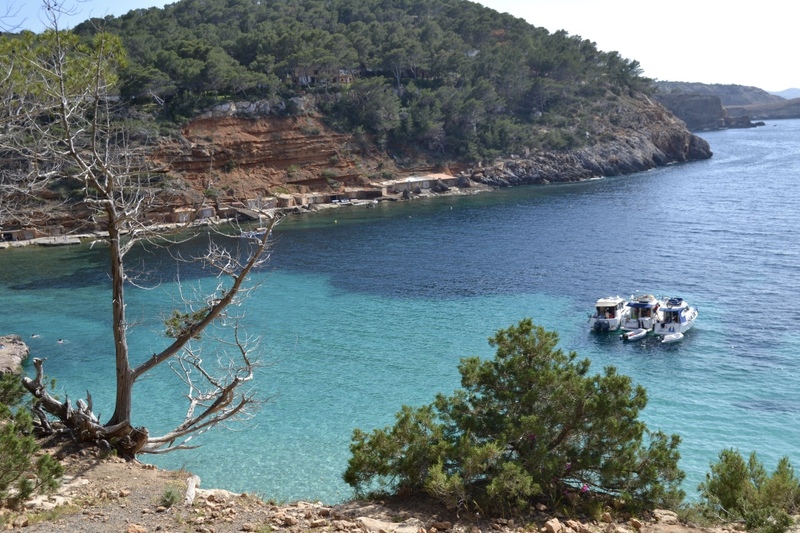 Cala salada: a wild little cala that you will find after walking 5min. Very charming. 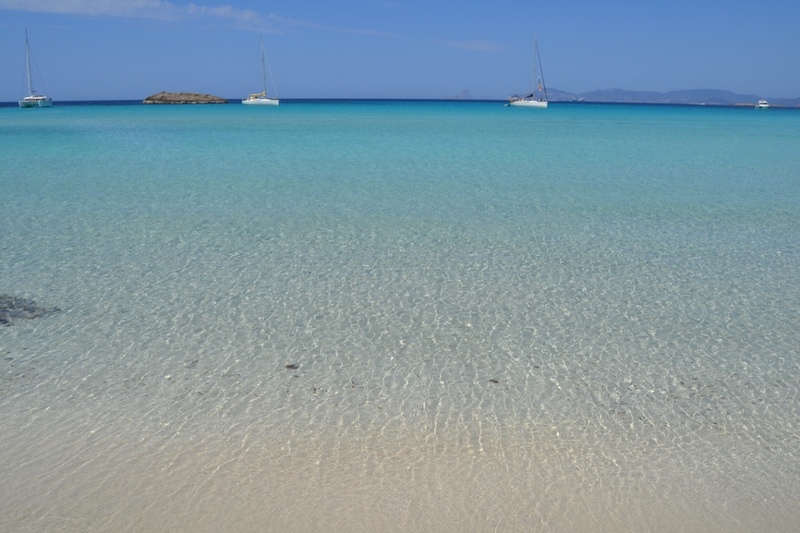 Playa de ses illetes: this is the beach you cannot miss if you go to Formentera!! It looks like a tropical beach that never ends.